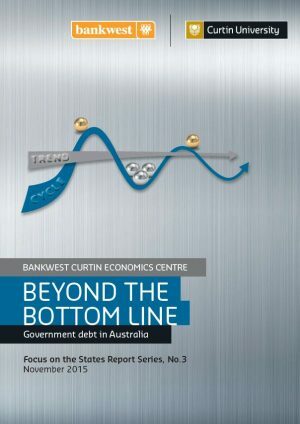 Beyond the Bottom Line is the third report in the Bankwest Curtin Economics Centre’s Focus on the States series. The report examines the highly topical and politically sensitive subject of government debt in Australia and seeks to provide a balanced and evidence-based assessment of this hotly contested issue. Australian government debt is low when compared to other OECD countries, ranked 21 out of 25. Yet the trajectory of government debt in the post-GFC period has been exponential, with Federal public sector debt as a share of revenues climbing to 47 per cent on latest figures – a 15 year high. This can become a burden to the Australian economy, increasing the risk of creditor downgrading and limiting the ability of governments to govern. Government debt is a growing issue for Australia’s states and territories too. Many have seen a marked increase in indebtedness in recent years. South Australia, Victoria and Queensland now record debt to revenue ratios in excess of 50 per cent. Western Australia saw its debt as a share of revenue rising above 50 per cent in 2013, a period which also saw the state lose its AAA credit rating. The most challenging conditions faced by governments at all levels are caused by a trifecta of sharply declining revenues, large budget deficits and high levels of debt. Revenues typically react quickly to changing economic conditions. However, sticky public expenditures with recurrent commitments locked in over the medium term offer limited scope to turn around spending to react to such changes in revenue. This can lead rapidly to difficulties in balancing government budgets, and where no option exists to pay down debt from surplus cash balances, governments can be forced to consider the sale of assets as a last resort to rebalance the books. 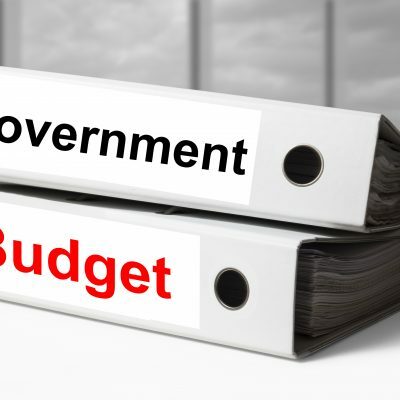 Using the most recent information available from Federal and state budget papers, Australian Bureau of Statistics data and national accounts statistics, the report examines the composition, depth and trajectory of public debt at both Federal and State level. The report poses a series of critical questions: What are the pros and cons of government debt as a policy instrument? What purpose does debt serve? How should debt be most effectively managed across the economic cycle? When is it good economic policy to increase debt? At what level does debt become a problem?